Reads and writes Portable Game Notation files. Allows stepping through game history move by move. Pure Java allows you to challenge your friends no matter what operating system they use. Full move validation. Users cannot make illegal moves. 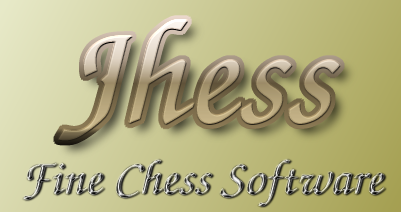 All chess rules including castling and en passant implemented. Peer to Peer real time network play. Chat feature to allow chatting between players when in peer to peer mode. Seamless switching between peer to peer and email play, allowing players to play in peer to peer mode when both are on-line, and email mode when both players cannot be online at the same time. Consider using wx4j for the ui because swing is really ugly. 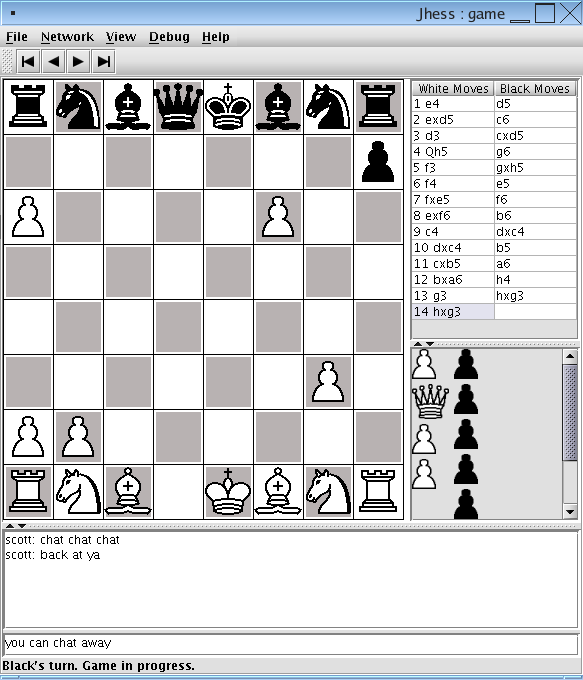 Another Chess Java Client with human p2p (server/client side), pgn viewer and small AI. 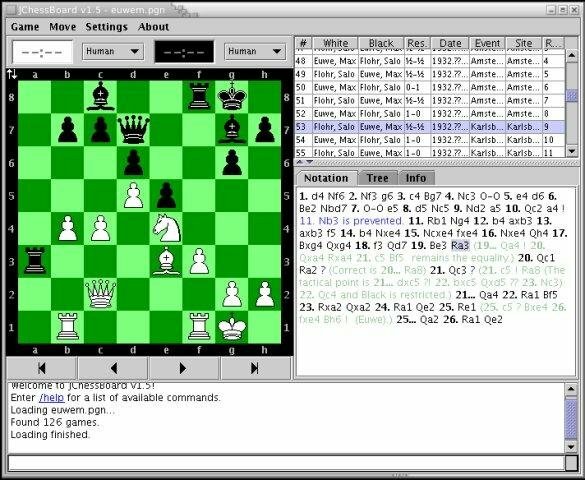 JChessBoard is a chess game written in Java that can be connected to another JChessBoard via a direct TCP/IP connection. No Internet Chess Server is required for playing. It also became a full featured PGN viewer and editor.